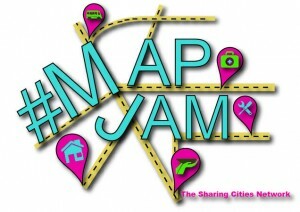 The Sharing Cities Network has launched the 2nd annual Global #MapJam to build community and bring activists together in cities around the world to connect the dots and map grassroots sharing projects, cooperatives, community resources, and the commons. Goshen will host it’s own #MapJam event. Come spend an evening with others to list and map what we already share in Goshen. Feel free to come for the whole evening or just part. Drinks and snacks will be provided, but feel free to bring food to share. We’ll start off with some food, drink and introductions. We’ll orient ourselves to what we’ll be mapping and why. Depending on the size of the group we may break into groups to being mapping and writing. Mapping all of the shared resources in Goshen not only shows that another world is possible–it shows it’s already on it’s way! When a community maps it’s resources it is easier to see where the gaps are. Asset maps are powerful organizing tools. They make community assets more visible, create a base for further community development, spark new collaborations, and illuminate openings for new projects to fill in the gaps. In addition, we’re raising some money to fund this event. If you’d like to support the effort, feel free to donate on this very short crowdfunding campaign we’ve created. Be sure to click on the Rewards tab for incentives. This entry was posted in business, community, economy and tagged co-ops, cooperative, gifting, local business, mapping, the commons, volunteering by Ben Beyeler. Bookmark the permalink.